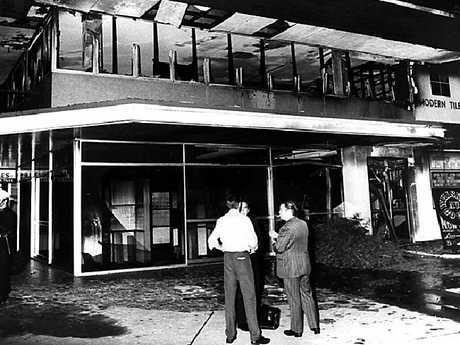 Police inspect the scene of the 1973 Whiskey Au Go Go fire. THIS Thursday you may find yourself driving up or down St Pauls Terrace in Brisbane's Fortitude Valley district. And if you happen to be passing the corner of St Pauls Terrace and Amelia St about 11am, you will see a group of people talking or reflecting. They may be bearing flowers. Or candles. To the unsuspecting eye, they will present as an ordinary group of men and women, but they are far, far from that. This will be a gathering of the survivors and families of the victims of one of the worst criminal atrocities perpetrated not just in Queensland history, but that of the nation. They are the Whiskey Au Go Go nightclub family, disparate people bound forever by a monstrous tragedy. 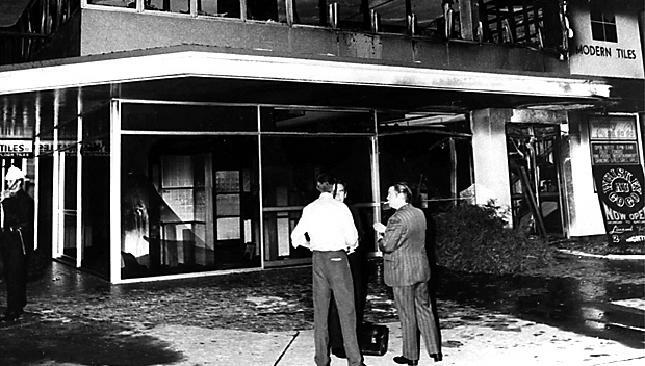 This Thursday marks 45 years to the day when the Whiskey was firebombed at 2.10am on March 8, 1973, and 15 innocent people lost their lives inside the club. Children lost mothers and fathers that night. Husbands their wives and vice versa. Siblings were taken. And the Brisbane that awoke that morning had become a different city. Ours was a place no longer immune to acts of extreme, senseless violence. The crime was quickly solved. Two men - John Andrew Stuart and James Richard Finch - were arrested three days after the fire. As a result, an inquest into the tragedy was closed down after less than two days. By October 1973, both men were convicted of the murders and installed in Boggo Road gaol. 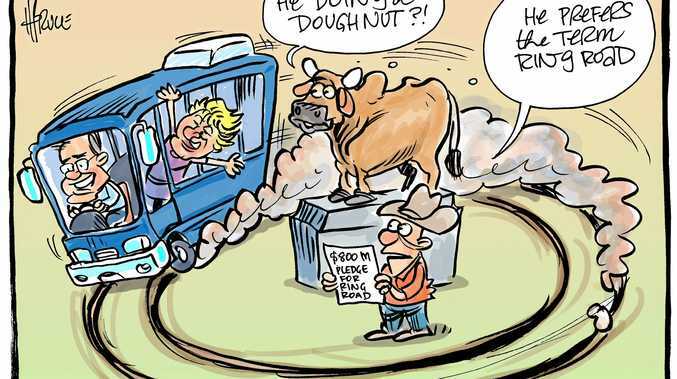 They were reviled across Australia. Stuart was seen as a madman, a psychopathic killer. Finch his sadistic sidekick. And that was the end of the story. Until last year. In June, at the sentencing of Vince O'Dempsey for the deaths of Barbara McCulkin and her two daughters in Brisbane in 1974, O'Dempsey addressed the court and declared his innocence over the McCulkin deaths. Then denied he had anything to do with the Whiskey tragedy. The fire had in evidence hovered at the edge of his and his co-accused, Garry Dubois', trials over the McCulkin disappearances, but never featured prominently. However, the day after O'Dempsey's proclamations, Attorney-General Yvette D'Ath announced a fresh inquest into the Whiskey Au Go Go. It was a welcome decision, and may go a long way to quelling rumours that there were more people behind the mass murder than just Stuart and Finch. The renewed inquest is imminent. Many hope it exposes the full details of the tragedy. And if there are further truths to be revealed, that in turn will point towards a massive cover-up, possibly involving corrupt police, that has held fast since 1973. Meanwhile, the Whiskey family will come together once again on Thursday at the memorial plaque in Amelia St, set into the footpath outside the door of the club where the killers splashed fuel and ignited it that night all those years ago. If you catch a glimpse of these extraordinary people, give them a moment of your thoughts. They and their lost loved ones deserve that, at the very least.